A new version of the Standard ISO 9001:2015 has been launched and introduced to replace the previous version ISO 9001:2008. PSAA’s Quality Management System is currently certified by Intertek for conforming to the requirements of ISO 9001:2008. 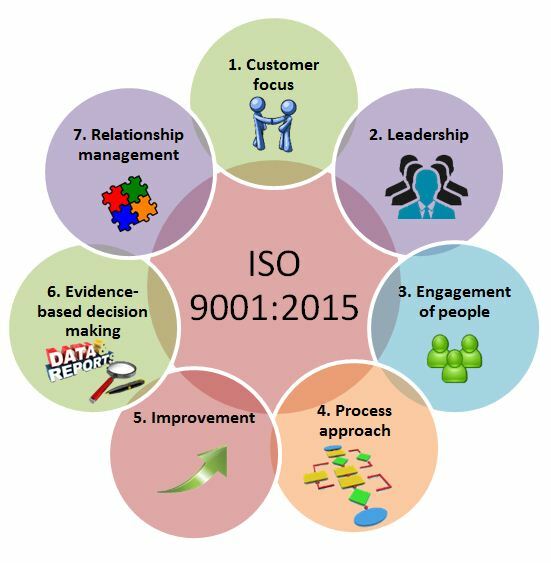 In order to maintain certification to ISO 9001, PSAA is in the transition period of upgrading its Quality Management System to the new version of the Standard. ISO 9001:2015 Standard is based on seven Quality Management Principles (QMPs). Quality Management Principles are a set of fundamental beliefs, norms, rules and values that are accepted as true and can be used as a basis for quality management. Sustained success is achieved when an organization attracts and retains the confidence of customers and other interested parties. Every aspect of customer interaction provides an opportunity to create more value for the customer. Understanding current and future needs of customers and other interested parties contributes to sustained success of the organization. Creation of unity of purpose and direction and engagement of people enable an organization to align its strategies, policies, processes and resources to achieve its objectives. Interested parties influence the performance of an organization. Sustained success is more likely to be achieved when the organization manages relationships with all of its interested parties to optimize their impact on its performance. Relationship management with its supplier and partner networks is of particular importance.